grandma's cookie jar: crafting with grandma - Handprint Charms!!! Mother's Day is just a couple weeks away, so if you are looking for a truly wonderful craft idea which you could help your grandchildren make for their mother - and for yourself, too - check this idea which I found on Pinterest today and absolutely fell in love with!!!! 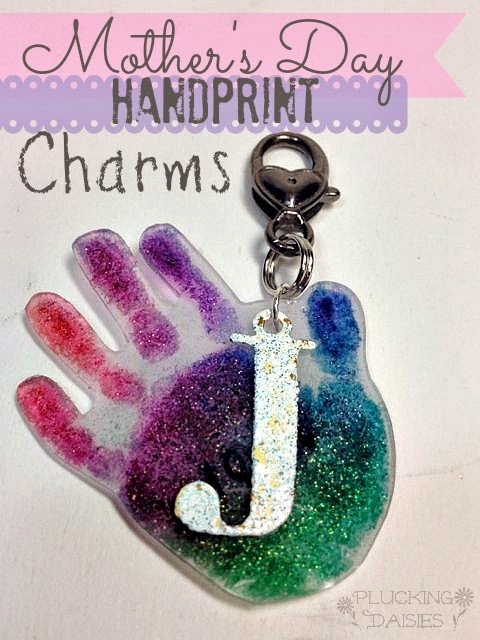 Follow this link and you'll find a photo tutorial, supply list and complete directions for turning the hands of your sweet grandchildren into charms which their mom - and you - are certain to love!!!! I absolutely will be making this with my grandsons!!! I love it!!!! Enjoy!!!! Love this idea! Going to have to try it.